Burberry London For Women epitomizes the cosmopolitan lifestyle independent & relaxed. Burberry London For Women 100ml. Eau De Parfum was launched in 2006. 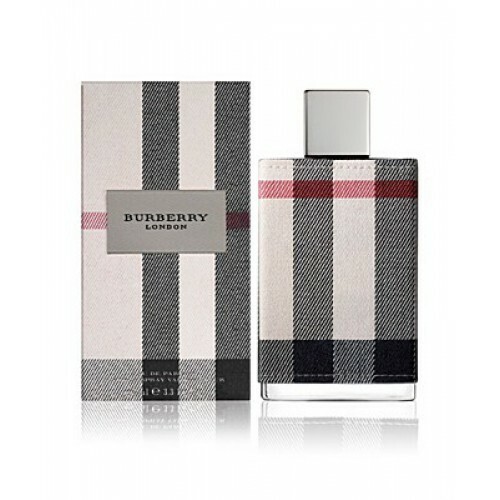 The fragrance Burberry London epitomizes the cosmopolitan lifestyle independent and relaxed London. The Burberry London For Women is a fragrance is sophisticated and developed around the Tiare flower, with notes of rose, honeysuckle, jasmine and accentuating this delicate blend with sandalwood patchouli in order to provide that air of sensuality. Burberry London for Women, experience feeling like you're there. Burberry London celebrates the City of London and lifestyle distinctive, eccentric and contradictory. Perfume bottle retains its elegant English style. Sensual peony note, accentuates aromas of sandalwood, creating an aura of subtle seduction, which complements the natural charm of a modern woman, emancipated. Burberry London is a unique and memorable scent that will definitely surprise you. Perfume is suitable to be worn daily. This dazzling stream of luxury flash unique sensuality and sweetness of touch, which opened with the first notes of a delicious flavor, and velvety cloaks fluttering train. Perfume is for sincere, bright, internally free of the fair half of mankind, which rejects all false, pretentious and artificial. Perfumers worked out very successfully combine the heady sweetness of fresh jasmine and peony, honeysuckle and elegance clementine. Light mystique and mystery brings aphrodisiac patchouli, and a special aura creates exotic sandalwood with breast haze musk. Such a sensual, warm, luxurious Eau created to in the winter cold to warm its possessor. A few drops of the great spirits - and a blizzard outside the window will not seem so harsh. With this attractive, charming and cozy and enveloping aroma of sweet, as in the arms dear to the heart of man. bottle "dressed" in the original cell of Burberry, having issued in soft pink shades. Release Date: 2006 Country of origin: France Gender: Female Classification flavor: floral Top notes: rose, honeysuckle and tangerine note "of the heart": jasmine, peony, tiare flower and clementine Final note: musk, patchouli and sandalwood.